The winter 2014-2015 was one of the sweetest of the last thirty years. The cold has yet settled for a month with 14 days of frost in February. The month of March was less watered than normal, followed by very good conditions in April with a regular bud break. The warmer and cooler periods alternated until the blossoming. The hot summer was punctuated by substantial rains after August 21, causing a rise in the berries. September was dry but without excessive heat and October, just as sunny, completed the last phase of maturation by improving the extraction of colored compounds without excessive loss of acidity. Beautiful garnet color which has brilliant reflections and great intensity. The nose, marked by hints of blackcurrant, evolves on the second nose to slightly smoky and woody aromas tinged with sweet spices and black fruits. Liquorice brings a certain freshness. On the palate the sweet and warm attack is very pleasant. The mid-palate, full and silky, does not erase a beautiful tannic structure that gives it character. The whole, very balanced and harmonious, finishes on a dominance of cherries notes. It is an elegant and distinctive wine. the vintage more than we could ever have hoped thanks to very beautiful Cabernets. limestone soils providing them with water during the dry pre-harvesting period. freshness that gives an airy quality to the wine. It is a very pleasant wine dominated by fruit and freshness. produce small quantities of pleasant red wines usually appreciated by Medoc enthusiasts. tannins and a freshness enjoyed by Bordeaux enthusiasts. palate. Fine and pleasant tannins. The overall effect is one of immediate pleasure. well, the 2012 vintage had a limited production but of good quality. concentrated and suave. Their roles have been determinant as for the cabernet franc. planted on the Ordonnac terroir, had good quality despite the summer drought. Finally, Petit verdot grapes gave good results. Beautiful garnet-red colour with cherry tint. Brilliant and limpid. The final is long with cherry and mint aromas. Lovely bold colour with ruby reflects. Appealing nose which combines fruity and wooden notes. Gentle structure with fresh tannins in the mouth. The finish stays fruity and very tonic. A vintage in the prime of it’s life. well and quickly with a very dry climate. This water deficit almost started a drought. aromas along with toasted notes. In mouth, the attack is rich and well balanced. keep its balance throughout time and will reveal its refinement and its elegance. Winner of the ʺCoupe des Crus Bourgeoisʺ, 2014. Full-bodied wine, with powerful tannins but with the necessary suppleness. Classical style. This Cru Bourgeois brings along all the best qualities of this wonderful vintage. The nose is suffused by red fruits. A soft texture stabilises the ensemble with a sufficient range of tannins. The finish convinces with a note of violets. Pure fruit, delicious, smooth, peppery, bloomy, delicate with subtle tannins, powdery, harmonic, complete. Frank red colour. Ripe, delicious smell like chopped fruits. Melting texture with elegant aromas. A full-bodied unity with a firm finish. A nice composition, which can continue it’s journey for a while. Plummy, rich character with a nice tannic structure spreading over the aromas of currents. Wine with a good potential. Enjoy from now on just until 2018. Intensive, purple colour. Nose is offering the smell of green wood with smoky aromas. Red and dark fruits mingle with spicy notes. Nice volume in the mouth with round tannins and a vivid freshness. Plummy and cassis-like. Lovely length with a pleasant finish. us to pick each grape in each plot at optimum ripeness. aromas and intense fruit all make it one of the estate’s spearhead vintages. Welcoming with a lucid ruby colour, he catches ones attention with a well-balanced bouquet of fruity and smoky flavours. 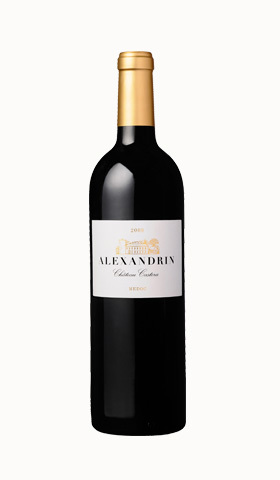 The seductive and delicate opening is wide-ranging and accompanied by melting tannins and ends in a nice spicy finish. True harmonic Medoc, recommended to drink between 2015 and 2016 with duck confit and turnips. Bold colour for quite a young wine. Elegant bouquet of black fruits emphasized by smoky notes. Lovely texture with melting tannins joining to an elegant unity. Typical liquorice finish reveals its origin. Sober ruby colour. Ripe aromas, delicate wooden touch, plummy with notes of cassis and spices. 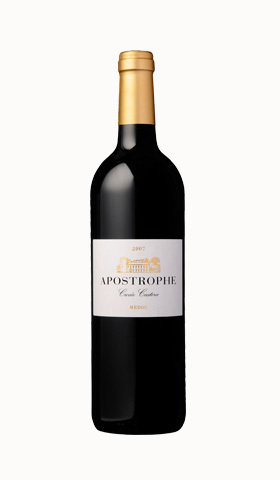 Good concentration of fruits in taste, some herbal notes, round and long-lasting tannins. Despite of its youth it carries an interesting potential. MDM: Purple colour with violet reflects. A discreet smell with a subtle fruit. A mellow taste but nevertheless well structured. Bold shinny garnet. Elegant and flamboyant smell of united red and black currant. Polished body, very silky and fresh. The former fruit will now be supported by a liquorice touch. A harmonic vintage. with the last two weeks seeing high temperatures and frequent storms. grapes beginning to ripen in mid-August. and a lack of rain allowed the fruit to reach peak maturity. 2009 is an exceptional vintage remarkable for its aromatic balance and power. A beautiful ruby colour with flashes of light. accented by sweet spices (cinnamon, vanilla) and a touch of coffee. The attack is supple and warm, striking a good balance between power and freshness. In 1983 two wine-lovers named Dieter Tondera and Carl E. Press took over the former property of Alexis Lichine and started colossal work in the vineyards and in the wine cellar. No corner where the shovel did not came around ! The wine is showing a great classicism with a tonic style. His bouquet is toasty, the mouth fruity and fleshy with vivid and chewy tannins. Peak between 2015 and 2019. A dense wine, straight, austerely with a lovely length, fruit and a nice concentration. Bold colour, despite of its age. Elegant bouquet of black fruits emphasized by smokey notes. Wonderful texture in the mouth with melting tannins. An elegant whole. Characteristical liquorice notes in the finish revealing its terroir. 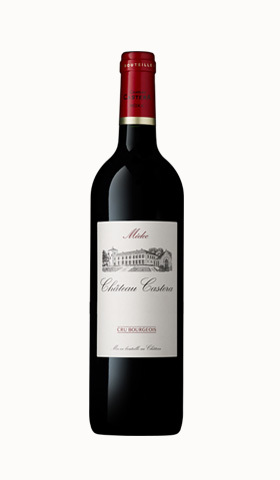 An excellent Cru Bourgeois based on 65% Merlot and 25%Cabernet Sauvignon. Delicate and seductive wine with soft fruit flavours. The nose is headed by the currant and red fruits with notes of tobacco leaves and stones. The classical aromas of the Medoc: minerality and ripe black fruits. Complex structure. A smooth finish leading to a lovely aging. Dark, nuanced ruby. Very opulent and ripe. This is surely at its peak with no more tannin to give and lots of velvet texture and ripe fruit… Very gorgeous. the budding of the vines. tarnish the quality of this excellent vintage. vibrant fruit, with a tannic structure worthy of a great vintage. undergrowth and a more pronounced blend of spices. which may surprise some people. Ready to drink now. Garnet colour, still young. Nos full of fruit evoking little red berries. Nicely structured with honest tannins and ripe aromas. Elegant and persistent. A chewy Medoc, very pleasant. Admitted that the name „chateau“ is quiet a bit strained, here it lives up to its reputation . Concerning the wine, it shows its personality by a lovely ruby colour, before it delivers its aromas of underwood and jammy red fruits. Smooth and fruity, with a facilitating opening, it needs two or three years more of patience before opening the bottle to a calf’s liver à la Venice. 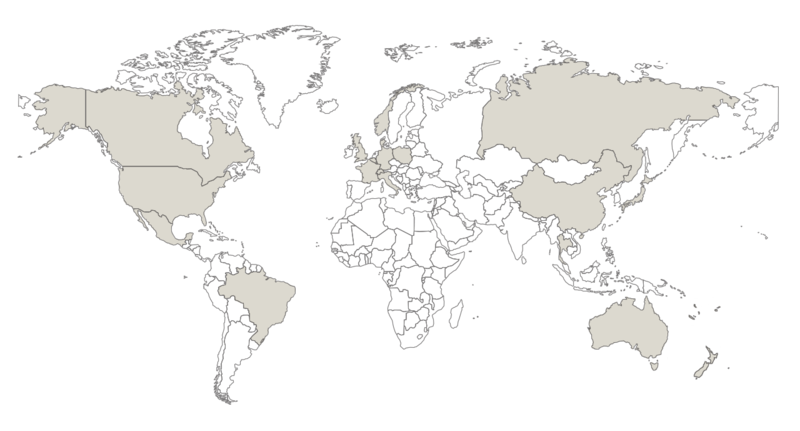 Unlike the previous year, 2007 saw a mild winter, although March was rather chilly. much care and attention to tending the vines in this period. botrytis and allowing the fruit to reach the maturity required to produce a solid vintage. The 2007 boasts a fine, vibrant red colour, crisp and sparkling. woody finish adds a touch of distinction. Complex bouquet of cherries, raspberries, red and black currant, notes of underwood, dry fruits and spices. Mouth: admirable tannic structure, roundness, force and gently balanced. Long-lasting, spicy finish. Red colour, young, lightly bold. Mixed smell of red and black fruits, vegetal and a bit smoky. Wide-ranging in the mouth, supple the fruit gets charged with spicy notes. Pleasant Medoc, which backs on expression and harmony . of 2005. The end of the winter was cool, with numerous frosts. quickly made up for the slow start to the year with a rapid, problem-free flowering. concluding with a pleasant touch of vanilla. Fine nose composed by sugary aromas and notes of currant and plumes with a spicy finish. Round and full in taste, just what you need, nice tannic structure. Enjoy immediately or in a short while. Ordered from a nice domicile surrounded by centuries-old trees, this vineyard shows a perfect diversity concerning its population of grapes. A shiny ruby-red preludes to the wedding of fruity (currant, strawberry, raspberry), wooden (toasty) and spicy notes. Nowhere near its retirement age, it offers a soft palate, nicely balanced, which doesn’t run out of arguments to seduce us. Starting with delicious tannins and a creamy flesh. Lovely, vivid red. Moderately concentrated. Typical bouquet of black fruits and spices. Supple mouth, liquescent, harmonic. A modern Medoc promoting its fruity side. The winter was cold and long, delaying the start of the vines’ growth cycle. phase. With ample sunshine, the vines soon made up for the slow start to the season. potential to age very well indeed. With its vibrant, garnet robe the 2005 is clear and luminous. agitation, hints of almond and cherry reveal themselves. structure maintaining the overall sense of balance. The finish is remarkably long, making this a truly distinguished vintage. Sufficient bold, purple colour. Fin bouquet reminding of black fruits and wooden notes. Fruity in the mouth, supple texture, intensively aromatic. A complex wine, crunchy fruit. In the finish spicy and very pleasant. This chateau posses a chapel dating back to the 19th century. You definitely have to pay a visit before discovering this 2005 arose from a divers blending, dominated by merlot (62 %) and wherein you can find a touch of petit verdot (4 %). The maturation – performed with masterly skills –provides spaces to the ripe fruits, which brings nice tannins to the palate, which are supporting unexcitedly the fleshy, delicious texture. A pleasurably Medoc… approximately now. Nice smell of well-riped black fruits (black currant and plum) followed by a nice vanilla touch and accompanied by delicate wooden notes. Lovely balanced in the mouth with a nice opening and a good tannic structure as well as an outstanding length. Very enjoyable to drink and frankly well made, good cost effectiveness. longevity which makes us confident that the Castera 2004 will age well. The attack is pleasant and well-rounded, leading to a silky-smooth mid-palate. The flavour expands to encompass the blackcurrant leaf notes so typical of this vintage. The overall balance is good, with an impressive mineral depth in the finish. Darkish garnet colour with tile-red reflects. Strong, intensive smell. Introduced by blond tobacco and fruity notes as well as those of brandied fruits. The supple and round taste delivers tenderly melting tannins. Warm harmonic ensemble best companion of red meat in gravy or game. the year of winter frosts and 1991 the year of frosts in the springtime. limited yield for this vintage. preserves (blackberries and raspberries), accented by light woody notes. balance of fruit and woodiness. Due to his age the ancient chateau looks back to illustrious owners as Etienne de La Boétie and Thomas de Montaigne, the philosopher’s brother. The 2003 is of a garnet or ruby colour with a bouquet at first toasty, then characterized by ripe fruits. Supple and well-balanced, the ensemble offers a nice structure and a perfect fusion of fruit and wood. spells we saw in May, which caused flower damage in some plots. was compensated by the warmth, dryness and plentiful sunshine seen in September. well-balanced framework provided by the warm, tender tannins. The finish is dominated by lively, crunchy fruit, leaving a very enjoyable aftertaste. to produce an excellent tannic structure, and above all a good deal of freshness. 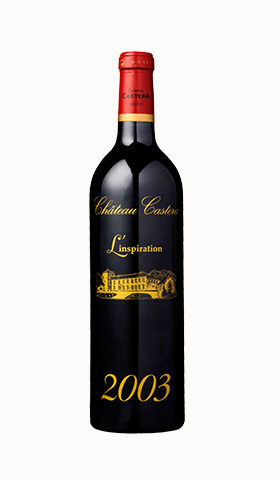 Château Castera 2001 has a consistent scarlet/purple robe. The attack is full and well-balanced, growing nicely with a discrete touch of woodiness. A lively fruitiness is complemented nicely by some toasted aromas. December 27 th 1999 left a trail of destruction in its wake. vines during the flowering process – with a good deal of success. peak maturity and in ideal conditions. our utmost to ensure that it would be a true classic. The colour is dark, with a rare aromatic intensity and remarkable tannins. A crisp, reflective and consistent ruby robe. accompanied by some grilled notes and a hint of Mocha. An enjoyably long finish.dense. limited quantity of this reserve wine every year. the same type found in the Pyrenees. Taken from the château’s younger vines, the grapes are selected on the sorting table. up by smooth, silky tannins which come from ageing the wine in barrels for 8 months. aromas. Pleasant to drink now. A mellow and delicious wine with a pleasant smoky touch. 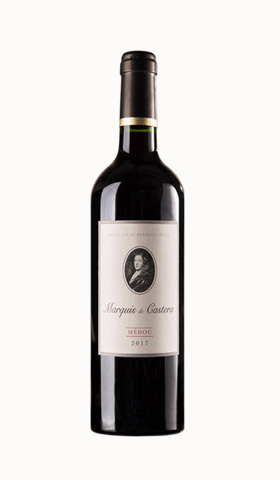 Marquis de Castera 2009 has a beautiful, intense garnet tint. The bouquet is fairly complex, with ripe fruit aromas accented with some roasted notes. providing a sense of great roundness. Lightly sparkling, bold colour. First fruity smell reminding of sour cherries transforming on liquorice notes. Light-bodied wine with delicately melting tannins and typical aromas. a thin layer of Pyrenees gravel. relatively short maceration, produce an exceptionally fruity wine. Beautiful bold colour with vivid red reflects. Pure smell of ripe fruits fine-tuned to the delicate spicy notes. A pure and smooth, melting wine, which shows off the frank aromas where fruit and spices staying are to the fore. brilliant which characterized its youth. almond aromas are present during the airing. are soft and silky with a balanced finish and a lightly oaked notes. Beautiful pure red. Delicate nose evoking red fruits with a vanilla touch. Smoothness in the mouth, brought with the fruit, where you can find a fine spicy touch, which persists during the long-lasting finish. 2010 is highly expressive and will charm by its harmony and freshness. Elegant smoky notes are emphasizing the flavours of berries and black current. Long-lasting taste. Less complexity but a strong character. Lovely, honest Medoc, vivid and very fruity. Even though its concentration is not so enormously, it has a very medocain character, steady and «fluent». A real « Bordeaux » without hubris but suitable to give yourself a treat ! Bold colour with violet reflects. The bouquet of red and black fruits emphasized by lightly toasted wood. A chewy prelude entails a developing freshness. A delicious win with long-lasting fruity and liquorice accents. A very appealing style. 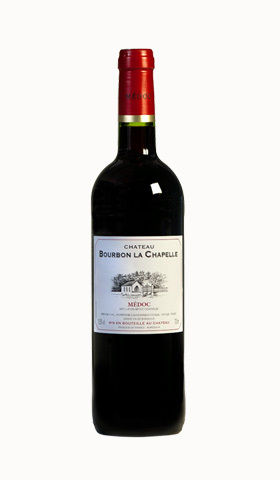 Château Bourbon La Chapelle 2009 boasts a clear, brilliant ruby-red robe. A fine, elegant woodiness is backed by faint hints of leather. The overall structure is superb, and the 2009 is already a pleasure to drink. Beautiful vivid red, sufficiently bold. Tempting bouquet, fresh, blended bloomy and fruity notes. Lovely range in the mouth with ripe tannins and a elegant fruit. The Cabernet Sauvignon brings along the typical liquorice notes in the finish. room for the red fruit aromas to express themselves. enjoyable wine which will provide a perfect partner for aperitifs or grilled meats. Bold red colour for a still young wine. Smell of ripe red fruits, nearly jammy. A tight wine in taste. Powerful and generously. Recommended with a rib of beef or game. The morning dew drips on the grapes just before the harvest which give us pink reflection. This show didn’t let insensitive our wine grower’s eyes. 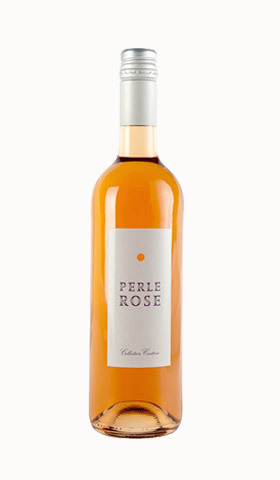 In this way, Perle Rose was born, a rosé of Merlot, produced to bring a fresh note in the wines range of the estate. Produced in small quantities, the berries of the rose are selected for their fruity notes. This bottle is the ideal accompaniment for your barbecue and salads. Boasting a lovely pale pink colour with hints of salmon, Perle Rose du Château Castera offers a lively bouquet in which the summer-fruit aromas provide plenty of freshness. On the palate the attack is quite lively and sustained, while the fruity character stands out and the overall balance is perfect. Serve chilled with barbecues and salads this summer. the famous Troncais forest in the center of France. followed by a fresh final which provide a nice length. famous Troncais forest in the center of France. tannins, a lot of black fruits and nice woody touch. A full and length final. The vintage 2003 will stay as a very warm summer. Grapes reached a level of maturity never equalled until then. Some parcels of old vines located on our best terroir of clay-limestone gave an exceptional wine. We decided to remove from the blend some barrels to take advantage of this nectar. Ageing of during 18 months in french oak wich came from the famous forest of Tronçais (Center of France) and bottling in a special heavy bottle. For a long time Reserved for the only consumption in the Chateau, we decided to put on sale the last bottles. The nose is opened and marked by tertiary notes of leather, fur and game. We can note black fruits, very soft spices and notes of licorice. The mouth is delicate, velvety and soft. It is a long elegant silky wine in mouth.